The woman claims that she suffered from "severe personal injuries." 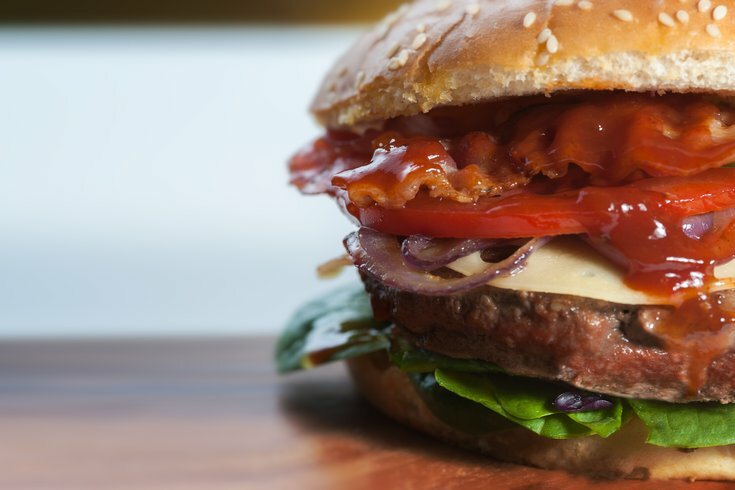 A Philadelphia woman is suing after allegedly finding a human tooth when she took a bite of her burger. Alexandra Aponte, of Southwest Philly, claims that she suffered "severe personal injuries" in a lawsuit she filed in Common Pleas Court, Philadelphia Magazine reported Friday. The suit said that Aponte was at the Hospital of the University of Pennsylvania in November when she bit into her patty and felt something hard that she believes is a tooth that once belonged to a real, live human being. Aponte is seeking more than $50,000 in damages. Aponte has also brought Aramark, which provides food services in the hospital, into the suit. There are a number of stories similar to Aponte's. In 2011, an Illinois woman sued McDonald's after she found glass in her McChicken. Or, there was the time when an Ohio man sued GZK Inc. after he found a found a slice of human flesh in a sandwich he bought from Arby's in 2005. Though, one of the most infamous cases of weird-things-found-in-food may be when a woman named Anna Ayala claimed she found a finger at the bottom of her cup of Wendy's chili. She later came clean.